Here are a list of some common ones along with nutritional information. Almonds Meal/Flour is simply skinless, blanched almonds that have been finely ground. It lends a moist texture and rich, buttery flavor to cakes, cookies, muffins, sweet breads and a host of other desserts. It is also superb as a breading for meats and vegetables. 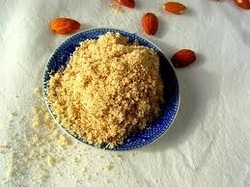 Almond Meal/Flour is low in carbohydrates and a good source of protein, fiber, Vitamin E, and magnesium. This is a white flour ground from the root of a west Indian plant. This is a great alternative to cornstarch because it can be used measure for measure. 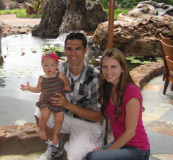 It is an easily digestible food for children and people with dietary restrictions. It can also be used as a thickener for acidic foods. This flour contains bran and is higher in nutrient value than white rice flour. It can be used in breads, muffins, and cookies where a bran or nutty taste is desired. Because there are oils in the bran, it has a much shorter shelf like and tends to become stronger tasting as it ages. It's also great as breading or for thickening soups, sauces, and gravies. Though the name "wheat" lies in it's name, this item is SAFE for gluten-free eater. Buckwheat is actually a fruit seed that is related to rhubarb. Diets that contain buckwheat have been linked to lowered risk of developing high cholesterol and high blood pressure. The nutrients in buckwheat may also contribute to blood sugar control. 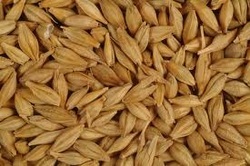 The buckwheat grain is often used in cereals. Coconut flour is fiber from the coconut meat after most of the oil has been extracted to make Virgin Coconut Oil. Coconut flour is high in dietary fiber and protein, and is gluten-free. It has more fiber than gluten-based grains. Since organic coconut flour contains natural sugar from the coconut meat, baked goods need less sugar added. The organic coconut flour has a mildly sweet coconut taste! This is a type of flour milled from dried kernels of yellow corn. It is similar to cornmeal except that it is ground to a finer consistency than cornmeal. It is used to make cornbread, muffins, pancakes, polenta, and tortillas. Cornmeal is made from grown whole corn. It is available in grinds coarse to fine. (Super fine is called corn flour.) If the corn is steel ground, the husk and germ of the kernel are almost completely removed. Stone ground retains some of the hull and germ and therefore has a little more flavor and nutrition. It is more perishable, but will store longer if refrigerated. 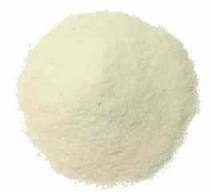 Cornstarch is made from the starch of the corn grain obtained from the endosperm of the corn kernel. It has a smooth texture, no flavor, and provides stability in GF dishes. It also serves as a thickening agent. It is popular in cooking because it forms a translucent mixture, rather than an opaque one when using flour. Look for packages that say "Gluten-Free." Whey is the byproduct of the cheese-making process and contains milk proteins and sugars. It can be used to add needed protein, flavor, and color to GF breads. It's typically inexpensive as well. If you are allergic to DAIRY, do not use this product. This flour adds great protein to Gluten Free foods. It has a strong taste, however and may affect the outcome of your baking flavor. Garbanzo Flour is great for making hummus. This thickening agent is made from the ground endosperm of guar beans. The guar seeds are dehusked, milled and screened to obtain the guar gum. 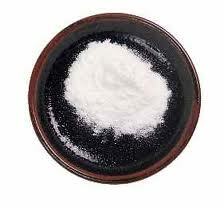 It is typically produced as a free-flowing, pale, off-white colored, coarse to fine ground powder. It is a great thickening agent in replace of xanthan gum if one is allergic to corn. Millet Flour has a subtle flavor, lots of vitamins and minerals, and adds a lovely creamy color to baked goods. Substitute 1/4 cup millet flour for an equal amount of unbleached white flour in any baked good (cookies, breads, pancakes... whatever you like) to add more nutrition and a unique flavor. You'll want to use this sparingly because it can mess with your thyroid if consumed in large amounts. Millet is an ancient wheat dating back to over 8,000 years ago! A flour-like substance produced only from the starch of the potato. It is a very fine powder and can be used with other types of flour for baking. It can also be used as a thickening agent similar to arrowroot or cornstarch. The best results are achieved if it is mixed with water first. It helps provide moisture in gluten-free baking. Don't confuse this flour with Potato Starch! It is much more dense and should be used sparingly in recipes. 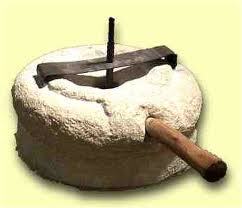 It's a type of flour produced from cooked, dried, and ground potatoes. It is also used as a thickener for soups, gravies, and sauces. This flour is made from the ancient grain Quinoa (pronounced "keen-wa") which is in the the same plant family as beets and spinach. Just like it's family it contains a HIGH nutritional value and is partically helpful for Vegans and Dairy Free individuals because of it's rich calcium and protein content. Quinoa is over 5,000 years old. It has a slight nutty flavor but can be bitter if not properly washed. When ground as a flour, it gives gluten free baking a light texture. You can sub this flour for half of the all-purpose flour in many recipes or completely replace wheat flour in cakes, cookies, pancakes, and waffles. If is NOT a good grain to use in yeast breads because it lacks elasticity qualities. 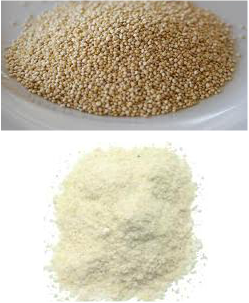 Sorghum flour (also know as milo flour) comes from a grass-like plant. Sorghum flour has a bland flavor that can be beneficial for baking because it won't add an unfamiliar or distinctive taste. Sorghum often produces a drier, crumbly final product but adds protein. Adding extra oil or another fat source and eggs can improve the texture, and adding a leavening agent such as baking powder or baking soda will help the dough rise. Soy flour is made from roasted soybeans that have been ground into a fine powder. Rich in high-quality protein and other nutrients, soy flour also adds a pleasant texture, flavor, and longer shelf life to a variety of products. Baked products containing soy flour brown more quickly, so it may be necessary to shorten baking time or lower the temperature just slightly. Use soy flour to thicken gravies and cream sauces, to make homemade soymilk, or add it to a variety of baked foods. Sweet White Rice Flour is made from high-starch, short-grain "sticky" rice and is used in Oriental cooking to thicken sauces and in desserts. This variety of rice is very common in Asia and can be found in Asian food markets. It binds together better than normal white rice flour and provides a fine texture to baked goods. it also retains moisture better than regular white rice flour. Works best in cookies and muffins but not yeast-raised breads. Sweet White Rice Flour, 1 lb. This flour is ground from the root of the cassava plant. It provides structure to gluten-free baked goods. When it is overused, a slimy or gummy texture will result. Tapioca starch and tapioca flour are the same thing. However, Potato Starch and Potato Flour or VERY different things. This is a darker, denser flour that dates back thousands of years to the ancient civilizations of Abyssinia. It's high in dietary fiber, carbohydrates, and iron. Nutrient wise it provides protein, calcium, and includes all 8 essential amino acids. It is actually higher in lysine than wheat or barley. White teff has a chestnut-like flavor while darker varieties are more earthy in flavor with a slight hazelnut taste. Teff flour is delicious in pancakes, pastries, or as a thickener in soups and gravy however, it does not work well on its own in gluten-free baking. 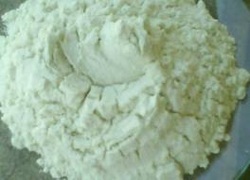 This is a pure white flour made from ground rice. White rice flour contains high levels of protein, but it contains much less vitamins, minerals, and fiber than brown rice because of the removal of the bran and germ. 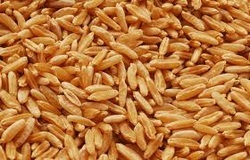 It is popular because it does not distort the taste when cooking but is sometimes grainy in texture. White rice flour can be used as a thickening agent for sauces and puddings. When properly stored in a tightly covered container in a cool dry location, white rice flour may last indefinitely. I have found the best white flour is that made from sticky rice. We use organic Calrose Rice. This thickener agent is derived from corn sugar bacteria and provides structure to GF baked goods, especially breads. If you are allergic to CORN, do stay away from this product. A good alternative is Guar Gum. Looking for some great foods that use these flours? Introducing musketeer number 1 in the 3 primary gluten-based grains. (Rye and Wheat are the other 2). Barely can be found in a variety of items from beer (made with fermented barley) to malted milk and candy. It can also be found in soups! Unfortunately, food labeling laws do not require manufacturers to disclose barely or barely-based ingredients such as malt so it's possible for manufacturers to "hide" those gluten-containing ingredients under all-encompassing terms such as "natural flavorings." If you are gluten free, stay away from this grain! Pronounced "Ka-Moot" this is an ancient ancestor of wheat dating back to 4000 B.C. It has not been tampered with but some people with gluten sensitivities CAN NOT handle this due to the gluten and close resemblance to wheat. If you are gluten free, stay away from this grain! Musketeer number 2 of the main 3 grains to stay away from. 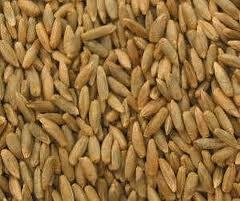 (Rye is a member of the wheat family and closely related to Barley.) This grain is just as much trouble for your gluten sensitivities as wheat. If you are gluten free, stay away from this grain! And last but not least, musketeer number 3! If the name of our website hasn't helped you already, you should stay away from this grain for sure. Also, beware...even if an item says "wheat free" it may still have gluten in it from any of the closely related grains. Your best bet-always looked for the certified gluten free symbol. 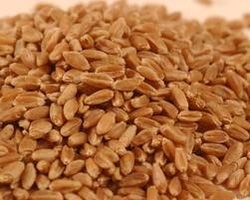 If you are gluten free, stay away from this grain!